Based on some of literature�s horror and science fiction classics, this is the story of a remarkable group of women who come together to solve the mystery of a series of gruesome murders�and the bigger mystery of their own origins. 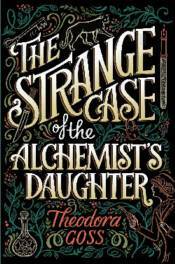 Mary Jekyll, alone and penniless following her parents� death, is curious about the secrets of her father�s mysterious past. One clue in particular hints that Edward Hyde, her father�s former friend and a murderer, may be nearby, and there is a reward for information leading to his capture�a reward that would solve all of her immediate financial woes. But her hunt leads her to Hyde�s daughter, Diana, a feral child left to be raised by nuns. With the assistance of Sherlock Holmes and Dr. Watson, Mary continues her search for the elusive Hyde, and soon befriends more women, all of whom have been created through terrifying experimentation: Beatrice Rappaccini, Catherin Moreau, and Justine Frankenstein.